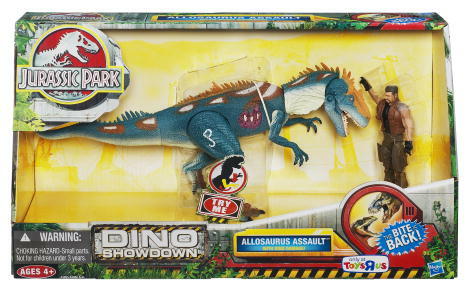 Thanks to forum member DemonCarnotaur, we finally have the first pictures of the new Jurassic Park 3D toyline (which should be called Jurassic Park 2009 Series 2, when you look at the packaging)! 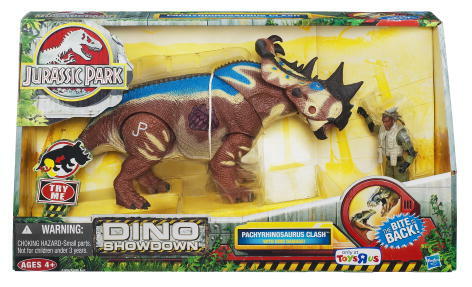 And even better, the sets pictured are the two most anticipated ones: the Pachyrhinosaurus Clash and the Allosaurus Assault, which both feature unreleased news sculpts, known only from the cancelled "Joerassic Park" line. These two dinos also come with unreleased Gi-Joe figures from the same scrapped line, so maybe we can expect more of these in this new line. Time will tell!